Why Choose a Gym Basement? Your own home gym is the ultimate in luxury, but basement gyms do not have to be exclusively for the rich and famous. Nowadays more and more people are deciding to cut down on gym membership and exercise from the comfort of their own home gym.The one thing that a basement renovation can provide is privacy, so it is perfect when it comes to using it for a gym. The fact that a basement has no windows and is secluded from the rest of the house will not matter for a gym and will make it even more appealing. When faced with the cost of all the different equipment for your basement gym it will seem expensive, but installing your own gym can actually work out cheaper in the long run. The cost of an average gym membership is slowly rising and people are finding that they are paying up to £70 a month to be part of a gym. If you put this £70 or however much you pay towards a basement conversion you will find that your gym will soon end up paying for itself. 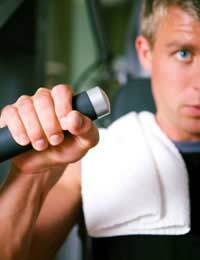 Once you have completed your basement renovation and installed your gym you could tell your friends about it and even charge them a small fee for going to work out in it, they will probably jump at the chance to be able to work out in a quite basement as oppose to a noisy overcrowded gym. Depending on what gym equipment you want in your basement and what standard you want it, you could find yourself being able to create a more than adequate basement gym for a couple of thousand pounds. A basement renovation is ideal for heavy objects, so you will have no problem putting your treadmill down there and pounding away. Your basement gym will be able to hold the weight of your gym equipment more than any other room in the house will be. You will need to follow the normal procedures of waterproofing and ventilating the basement, but the rest should take little converting. You will also easily be able to soundproof your loft, so you can make as much noise as possible when you are working out. Using you basement renovation for a gym is a luxury, so it is important you think carefully about what other uses your basement might have. It may be that you want to renovate your basement into a gym, but the rest of your family may have different ideas. Gyms are a great idea, but only if you need one, if you are not going to use your gym or leave it standing idle then it will not be a good use of your money and you may want to think about converting your basement into something else. Basement gyms have become hugely popular in the past couple of years as more people opt to work out at home and save their monthly gym membership. If you are a gym bunny then a gym basement could be ideal for you, but if not, save your basement renovation for something you will get better use out of.